Sometimes you want a part-time job or a side hustle which will just take few hours and still gives you good money. Part-time jobs are convenient when you want to have a supplement income along with your day job or when you are a stay-at-home parent with kids want an extra income or just to have a stronger financial system. There are many online jobs which are part-time, and you can do them as per your schedule. Part-time jobs can be great for many reasons; they can potentially become your primary income, they can supplement your income, they can give you a chance to do what you love and can give more financial independence to do things that you always wanted to. If you always search for ‘part time jobs near me’ in Google, then look no further. Below are some of the part time jobs hiring no matter where you are. Appen is one of the five crowdsourcing companies which has many independent contractor positions in fields like translation, data annotation, web research and social media research. Search Engine Evaluator role can be perfect if you are looking for a part-time job, as the minimum number of hours required is 20 per week. Other roles like Social Media Evaluator has much lesser hours required per week. If you are good with your admin or customer service skills, then give a try at being a Virtual Assistant. Worldwide101 is a company which provides VA services to the businesses in areas like bookkeeping, customer service, marketing, admin support and more. The maximum number of hours for this role is 25 per week with a minimum being 20. Another crowdsourcing company which recruits workers all around the world for positions like search engine evaluator, internet assessor and sometimes you can find roles like Software Testers. All of the work is online. The number of hours does vary according to the role, but most of the web research positions have a maximum limit of 20 hours per week. As this is an entirely online work, you have the independence of working either day or night anytime. Though this is not an online job, it is a very flexible part-time hustle that you can take up. Whether you drive during the school hours or weekends, driving for Lyft can give you a good side income. For a limited time, you’ll also get a $300 bonus after your first 100 rides. Leapforce is again a crowdsourcing company which has similar roles as Lionbridge. It recruits in many countries like USA, Canada, Brazil, Spain, India, etc. You can work at any time, but the only requirement is you can work a maximum of 20 hours a week. Like the other crowdsourcing companies, you need to take a test before getting the job. Scribie is a transcription company offering freelance transcriber roles. The work is quite flexible, and you can choose the work and hours. This role can be a good side hustle for you if you are good with your typing skills. If you are still in doubt whether you are suitable for this role, then take this free course to find out. To know more about this company, go thorough our Scribie review. iSoftStone is another organization offering web research positions. The nature of the work is almost similar to other search engine evaluator roles. This company also offers part-time hours though there is a chance of getting more work depending on the quality. They usually have longer projects so the work can be continuous. Are you good with your general research skills? Then you can apply for being a Wonder Researcher. This company recruits online researchers for doing general research. You do have to give an assessment which you need to pass to get selected as a wonder researcher. This is purely an extra money option, which can be a good part-time option for you. I have noticed quite a lot of openings for freelance writers, video producers and guides with this website. You can make a good part-time income being a freelance writer writing for this site. As the position is freelance, there are no set hours. Alpine Access is a call center company hiring agents mostly for customer service roles, and they predominantly employ in the US. You need to work for a minimum of 20-25 hours. You will be handling a variety of calls from the customers, and this is a great part-time online job with benefits. As a Clickworker, you can have an extra income option which is available worldwide. This company has roles like data annotation, data tagging, etc. You need to register and log in to see the jobs available to you. You don’t require any experience for these and the hours are completely flexible. You can work as an online reservation agent with Hilton. The work is entirely online with a paid training program. The hours are a minimum of 20-25 per week, and you can be eligible for benefits. InteliCheck is a telephone mystery shopping company hiring at home mystery shoppers. You need to work anywhere between 10-30 hours or more. You need to pass an evaluation before getting hired. The job is to call businesses and find out about pricing and other details. This is a great extra income option. I have heard a lot of reviews and feedback from work-at-home mums, stay-at-home parents and retired people about being Uber drivers. Being an Uber driver can be a great part-time hustle for anyone. This list is by no means a comprehensive one, but almost all of these companies require you to work at least 15-20 hours a week, which is pretty much a part-time job. Please do check their websites to see if they are hiring now or keep a tab on them to find out the openings. If you are looking for scam-free work from home jobs, then there is no better place than FlexJobs. This is the most authentic job board that lists remote jobs from all over the world. The jobs are thoroughly researched and totally legit. 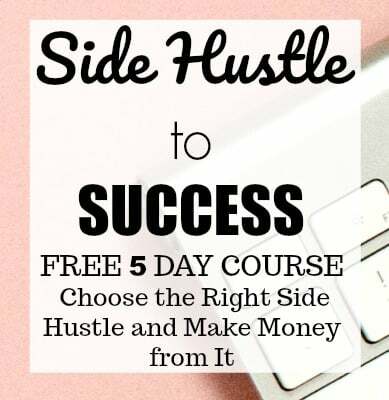 If you are looking for ways to make extra money as a part-time job or a side hustle, these might be of great help. Blogging – I have been blogging for six months now, and I make a good part-time income from it. There is a lot of debate on whether you can make money from blogging. All it requires is you write what you love and promote well. 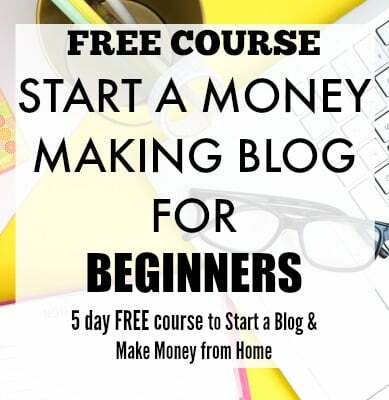 I have a super easy step-by-step guide to start your own money-making blog within minutes. Surveys – Research panels are a great way of making some extra cash on the side while doing things you normally do. You can sign up many legitimate survey panels like American Consumer Opinion, InboxDollars, Survey Junkie, VIP Voice, Swagbucks, etc. Test Websites – If you want to make some side income then testing sites is a great option. The work is non-technical, and it can compensate for some extra change. The work is not continuous but can be a fantastic supplemental income. That’s a good list of part time jobs. But you are missing out on some popular part time job websites like Amazon Mechanical Turk, Microworkers, and ClixSense. Thank you! They are great extra income options.